A partner and Director of Training at Sweetwater Kayaks, Foster has been long recognized as the dean of surf kayaking, having pioneered the sport in the 1970’s. Since then, Foster has paddled solo or led expeditions in the waters off Norway, Sweden, Baffin Island, and the Faroe Islands. He was the first to circumnavigate Iceland. In 2004, he and Kristin Nelson paddled around the north end of Labrador. During early summer 2006, they paddled the Misty Fjords in southeast Alaska, and during late summer 2006, they paddled Sweden and Denmark. Early 2007 saw him in New Zealand, Mexico, and back home. Nigel is the author of “Kayaking: A Beginner’s Guide”, “Nigel Foster’s Sea Kayaking: Secrets From The Pro”, “Nigel Foster’s Surf Kayaking”, “Guide to Sea Kayaking in Southern Florida”, “Open Canoe Technique: A Complete Guide to Paddling the Open Canoe.” Nigel has designed his own line of sea kayaks: Silhouette, Legend, Shadow, Echo. Most recently he has designed a new line of kayaks distributed by Point 65 Kayaks: Whiskey 16, Whiskey 18, Double Shot Tandem and Cappuccino 13. 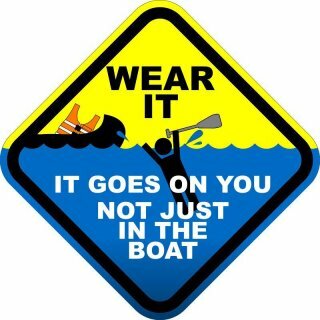 In addition to sea kayaks, he has created his own accessory line which includes clothing, PFD, tow line and other exciting products. 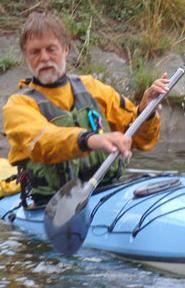 His articles are often featured in Sea Kayaker, Canoe Focus, and other outdoor publications. His classes are always exciting and fun!